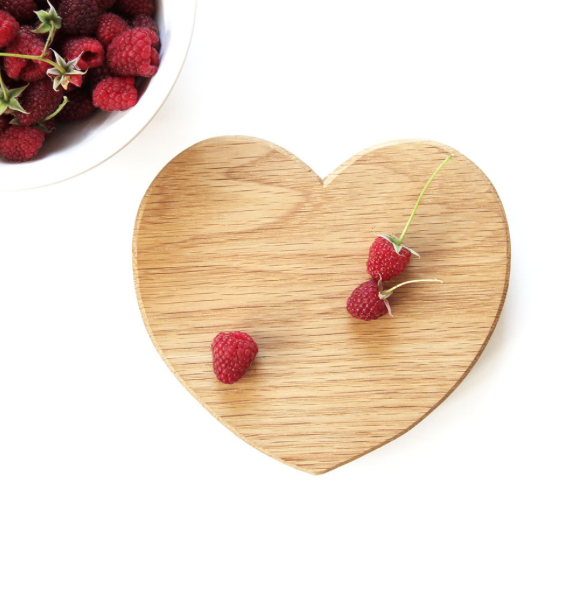 This Heart Shaped Chopping Board is made by Hop & Peck, whose contemporary and charactful wooden designs are a classic for both kitchen and home. I’ve always been a big fan of the brand and actually used this particular product in the photoshoot for Quinntessential Baking to display my Heart Beet Cake on. It fitted perfectly in both shape and the hand made nature between the bake and board. All of Hop & Pecks products are lovingly handmade from oak (occasionally beech and daringly walnut) and they pride themselves on being as green as the acorns from which the wood they use grew. This particular board comes in both a small and large size, meaning both large cakes or cup cakes can be served up on them. What’s not to love.